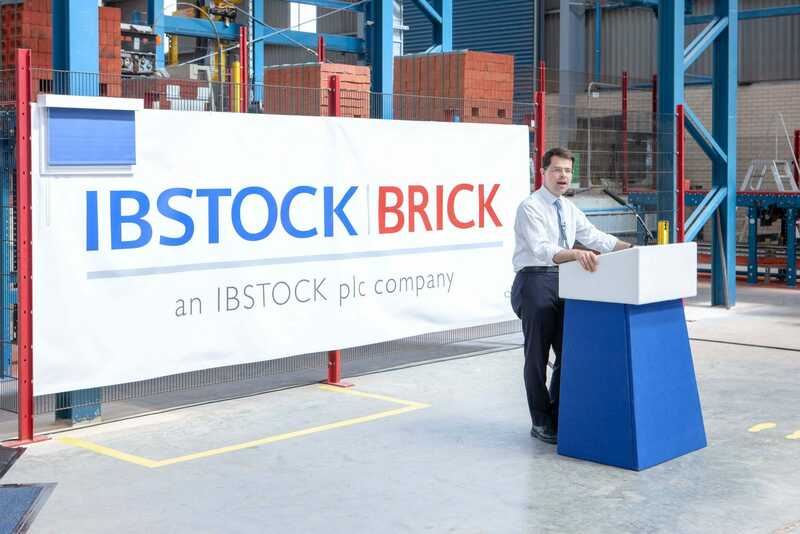 Darren Bowkett, Operations Director at Ibstock Brick and Managing Director of Ibstock Kevington provides his insight on James Brokenshire’s speech at the Conservative Party Conference. Once again, the Government has demonstrated its firm commitment to keep Britain building with James Brokenshire, Secretary of State for Housing, Communities and Local Government, using his speech at the Conservative Party Conference to reiterate a pledge to build 300,000 new homes a year until the mid 2020s. This is great news for the housebuilding sector as a whole, and as a result, the brick industry continues to experience strong demand. And we expect this to continue as in many cases, brick will be the material of choice to build these homes. So that we can continue to meet the UK’s housing needs now, and in the future, ongoing investment is at the heart of our business strategy. Earlier this year, Mr Brokenshire officially opened our new Eclipse factory at our Leicestershire headquarters, a move which will enable us to deliver an additional 100 million bricks to the UK’s housing market each year – the equivalent to 10,000 to 15,000 new homes. It is well timed to support the growth in housing and means less bricks will need to be imported from the EU. We firmly believe brick continues to offer a viable, affordable and sustainable solution for modern construction, regardless of economic conditions. This is why we also welcome the Government’s promise to change the current building regulations to ban the use of combustible materials for all new high-rise residential buildings, hospitals, registered care homes and student accommodation. Clay brick has been certified as A1 non-combustible; the best fire classification achievable by construction products. Therefore, brick will not contribute to flammability, ignitability or the spread of flame. This gives everybody in the supply chain confidence in its safety credentials. It is confirmation of what we have always known, and will surely place an even greater emphasis on specifying brick. For those working on projects covered by the ban, particularly high-rise buildings, our new brick slip cladding system MechSlip is the UK’s first mechanically fixed brick slip system to use real Ibstock Brick and it contains no combustible parts. Developed in conjunction with Ash & Lacy, MechSlip offers significant advantages associated with rainscreen cladding, including reduced installation times and associated costs. Our investment in capacity and new products is proof of our commitment to support the housebuilding sector and deliver on the Government’s ambitious target helping build the next generation of homes our country needs. For more information, please contact marketing@ibstock.com.